It gets rid of warts if applied everyday! Good to know!! Thank you so much for sharing. All saturated fats are not created equal. I say “created” because you should remember that some saturated fats occur naturally, while other fats are artificially manipulated into a saturated state through a man-made process called hydrogenation. The benefits of coconut oil are amazing. That said, not all of the ones listed here are consuming orally. I would face consumption of anything in moderation, but do read up on the natural process of saturated fat verses hydrogenated. 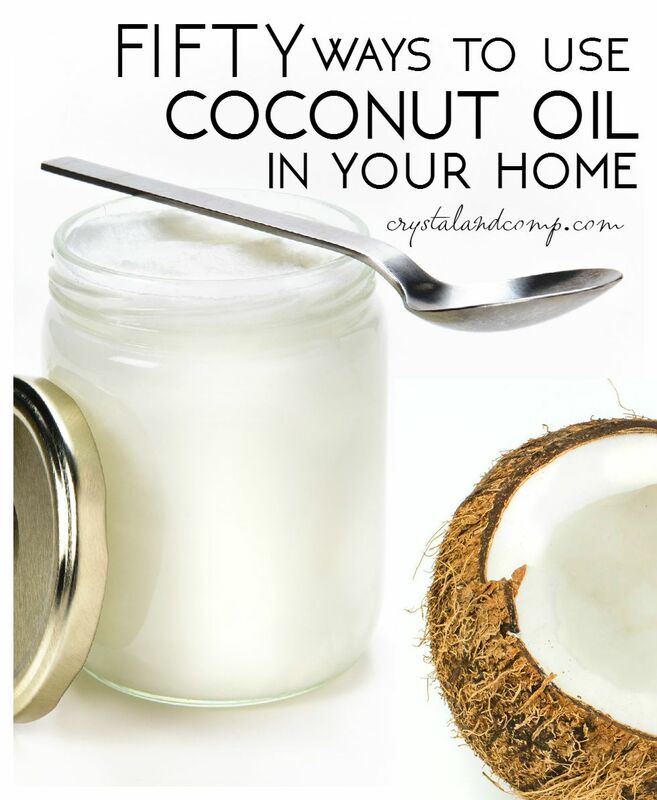 I see about 10 things on your list that I could use coconut oil for at first glance! Is the coconut oil like a liquid (like olive oil) or is it a more solid form like a paste. Maybe it doesn’t matter? The oil can be liquid or solid depending on where it is stored. If you store it in a cold dark pantry it will be solid. If you store it by the stove or oven, it will be solid. Either way is fine. 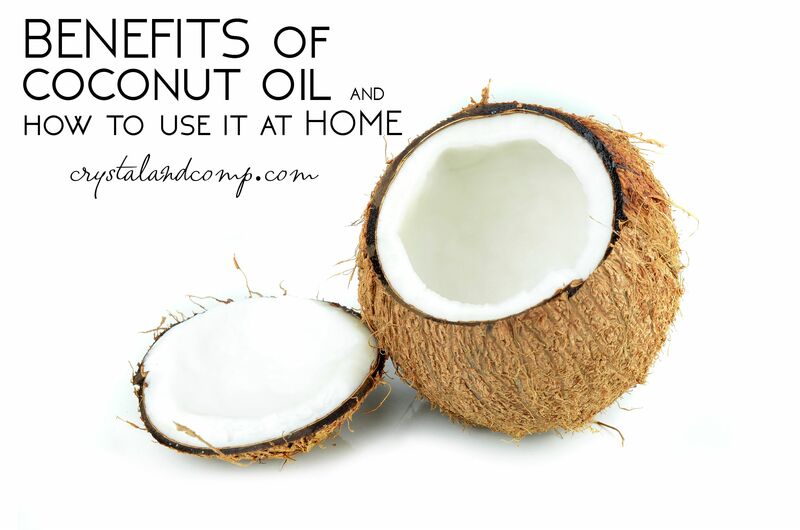 I have enjoyed using coconut oil for several years, in many of the ways you listed. I’m so happy to see it become more mainstream in recent years, as more and more people are discovering its wonderful benefits! One of my favorite uses of coconut oil is for oil pulling- ‘swishing’ it in your mouth daily for twenty(ish) minutes, first thing every morning. It is excellent for oral health, and whitens teeth too… also optimizes thyroid and kidney function, improves complexion, relieves sinus congestion and headaches/ migraines, detoxifies, improves arthritis pain… and the list of health benefits goes on and on! I recently read that adding Frankincense and Myrrh essential oils to the oil pulling process almost instantly relieves oral pain. Also, I’m planning to use coconut oil to make my own natural toothpaste and deodorant since the store-bought chemical-free versions can get a little costly. I love, love, LOVE this stuff! Thank you so much for sharing your experience with oil pulling. I have heard many folks have great experience with this! So it says a teaspoon or two teaspoons. Was wondering if you just take it by itself or do you mix it with something before you take it? How do you take it? How would we use it this way? Any ideas? Pinned it on Pinterest, thank you so much for sharing! What wonderful ideas. There are so many of them, thank you! Wow! I knew it was good an I have a jar I haven’t opened at home. Why?! I need to start using it to prevent wrinkles and moisturize my dry heels. Pinning and tweeting! It really is like a miracle oil!! Who knew!!??? Great post and I love the hairball idea – I have a long haired very fuzzy cat who has issues from time to time! Wow! that is amazing, I really didn’t know that coconut oil can be used that much.